Attention Loyal Panda diamond players: Royal Panda offers a stunning three-day slots event. 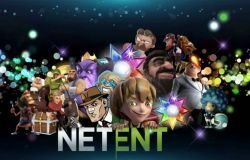 This tremendous tournament runs between 11-13 September, and is themed around slots from the popular Net Entertainment stable. And the best thing is: There’s a prize pot worth a whopping 1.75 lakh rupees available, which definitely adds up to the fun! A spokesperson for Royal Panda added that all competitors have an equal chance of winning as the trio of best sequences of 20 spins are compared to the amount wagered. Benefit from this sizzling tournament, available between 11-13 September, and score the highest 20-spin streaks! As mentioned, only Loyal Panda Diamond players can join the action.